The all-new VE Commodore sees a realignment to Holden’s large passenger car range. The VE family includes the new Omega which replaces two long-standing models - Executive (introduced with VN Commodore in 1988) and Acclaim (introduced with VR Commodore in 1993). The new lineup also places greater emphasis on the SS and Calais models. Holden is introducing the new V Series, enabling the company to offer extra variants under the SS and Calais nameplates as well as special edition models. 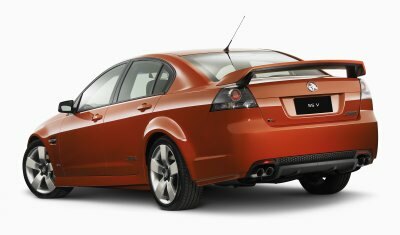 They are the first major changes to the Commodore range since the introduction of Acclaim in 1993. Holden Executive Director – Sales and Marketing, Alan Batey, said the realignment played to Holden’s natural product strengths and reflected demand from private and fleet customers. Batey said the success of special edition models in recent years was a strong indicator that the standard model lineup was due for review. “Holden is restoring the balance by delivering exactly what the market has been demanding for the all-new Commodore,” he said. “Executive and Acclaim had moved too close together with increased content over the years, almost bumping into one another." “The new Omega responds to commercial needs on purchase and running costs as well as features which are important to customers. We think it will also have significant private buyer appeal and it gives us a strong base for special edition models." “In terms of the V Series, we were impressed with the impact of our recent special edition models such as the SS-Z Commodore, SVZ Commodore and CV8-Z Monaro." “V Series allows us to do that without confusing buyers with different edition names or simply sticking with special edition programmes." 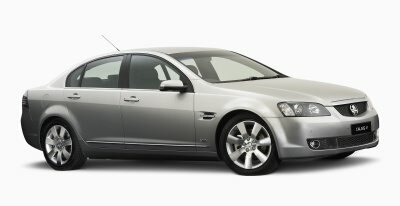 The Holden VE Commodore range will go on sale in August 2006. Pricing, full specifications and features of the new models will be announced closer to the start of sales.